With a very tight budget it is necessary to keep track of every penny. This is how it will happen … Money Bags! After cashing a check for $372 every month I will split the money for each budgeted category into one of these pencil bags. 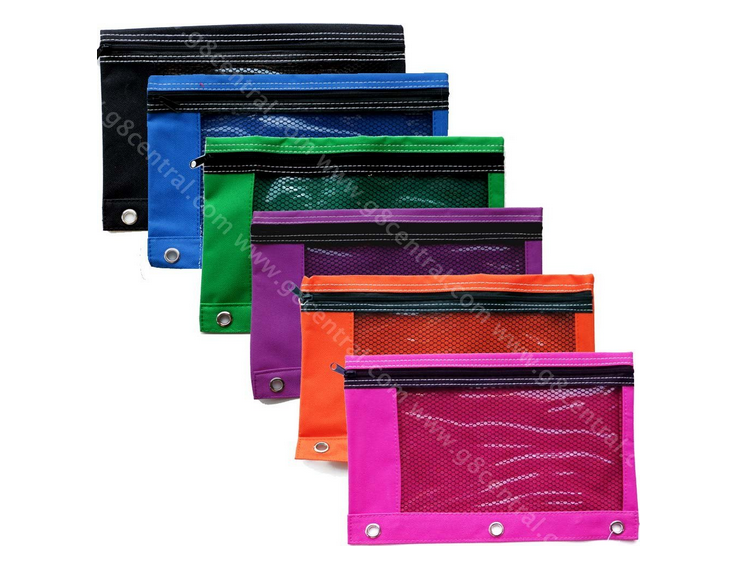 Included in each bag will go the receipts and a notebook to record expenditures. (If you want to see the gory details of the budget check it out here.) Since each bag has three reinforced holes and I have a 3 ringed notebook, all will fit. It will also look like student’s pencils as opposed to a traveler’s wallet. Maybe an envelope in each bag to hide the precious money? At the end of every month I will add up and record what has been spent in which category. At the end of the year I will re-figure the budget. Now the hard decision as to which color for which budget item? Groceries in pink or orange? Laundry in blue? This entry was posted in Entertainment, Essentials, Truck Camping Hints and tagged budget, budget for truck camping. Bookmark the permalink. I am very proud of you. With a small trust fund (sounds better than being on ss) you are living life on your terms.